Dr.Rajendra Prasad (3rd December 1884 - 28th February 1963) was an Indian politician who became the first president of India. He was one of the architects of the Indian Republic, having served as the president of the constituent assembly and later as the first president of independent India. Prased is the only president to have been elected twice for the office. 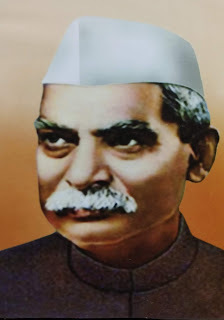 Dr. Prasad's freedom movement started after coming into contact with Gandhiji.He played a active role during non-cooperation movement.Dr.Rajendra Prasad was arrested in 1930 while participating in salt satyagraha. He was in jail when on 15 January 1934 a devastating earthquake struck Bihar. Dr.Rajendra Prasad was released form the jail two days later and he immediately set himself for the task of raising funds and organizing relief. The Viceroy also raised a fund for the purpose. However,while Dr.Rajendra Prasad's fund collected over 3.8 million rupees, the viceroy could only managa one-third of the amout. Bhikaiji Rustom Cama (24 September 1861- 13 August 1936) was a prominent figure in the Indian independence movement. 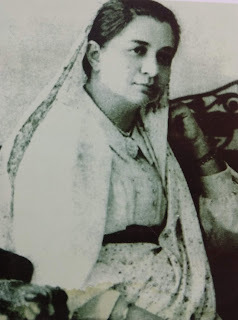 Bhikaiji Rustom Cama is also known as Madam Cama and is considered as the mother of Indian revolution because of her contributions to Indian freedom struggle.A turning point in her life came when Bombay Presidency was hit by deadly plague in 1896. She rose to the occasion and devoted herself to the service of plague victims. Her involvement was so complete that she herself dell victim to this dreadful disease. Her condition deteriorated badly and she was advised to go England for rest and further treatment. She reluctantly left for Britain in 1902. Even in an alien land, Madam cama worked for promoting India's freedom struggle. She also worked as a private secretary to great Indian nationalist Dadabhai,Navaroji.She learned a lot from the leggend and that further made her resolve stronger to work for the welfare of the people. Bhikaiji Cama soon became very popular in Britian. The ruler become so scared of her effects on people that they planned her assassination but she survived that escaped to France. Her efforts did not slow down in France and infact,she became a leading inspiration for revolutionaries.She sheltered several freedom fighters and kept sending help in form of cash and materials across the sea.British came to know of her movement and asked French Government for her extradition but French refused. Madam Cama is also credit with desinging India's first tricolour flag with green,saffron and red stripes bearing the immortal words - Vanda Matram. Shaheed Shivaram Hari Rajguru (24th August 1908-23rd March 1931) was an Indian revolutionist from Maharashtra.He was born at Khed near Pune. The only object of his adoration and worship was his motherland for whose liberation he considered no sacrifice too great. Rajguru was a good shot and was regarded as the gunman of the party. In 1928 HSRA(Hindustan Socialist Republican Association) decided to avenge the death of Lala Lajpat Rai, who died in a police lathi charge, by assassinating J A Scott, the Superintendent of Police, Lahore who had ordered the lathi charge.it was planned that Jai Gopal would give a signal to Bharat Singh and Rajguru as soon as Scott came out of his office. 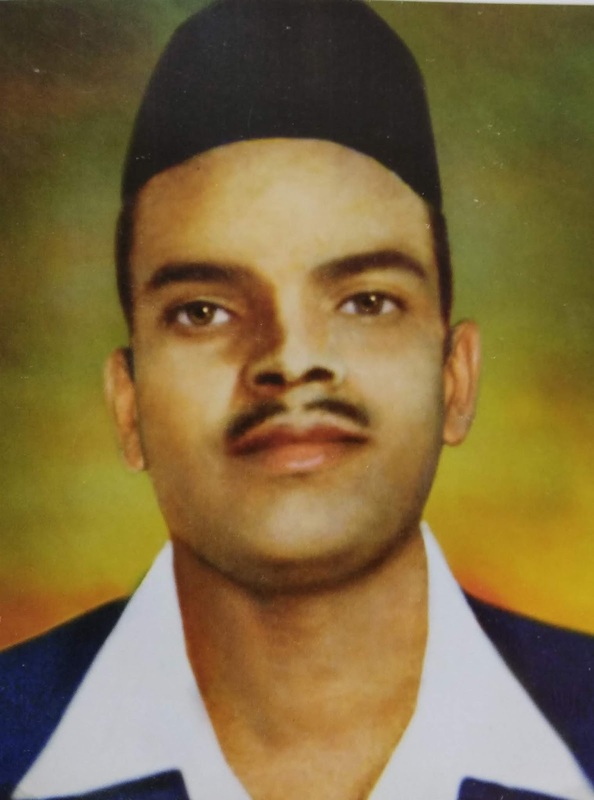 However, Jai Gopal misidentified J.P. Saunders, the Assistant Superintendent of Police as Scott and give the Signal.Thus Saundars was Shot dead.The same night posters of the HSRA declaring saunders is dead. Lalaji is avenged were put up through tout the city of Lahore. At the time of his martydom,Shivaram Rajguru was hardly 23 years of age. The whole nation was awakened and the name of Bhagat Singh, Shivaram Rajguru and Sukhdev become as popular as that of Mahatma Gandhi.Meeting,Procession and representations were made for commutation of there death sentence.